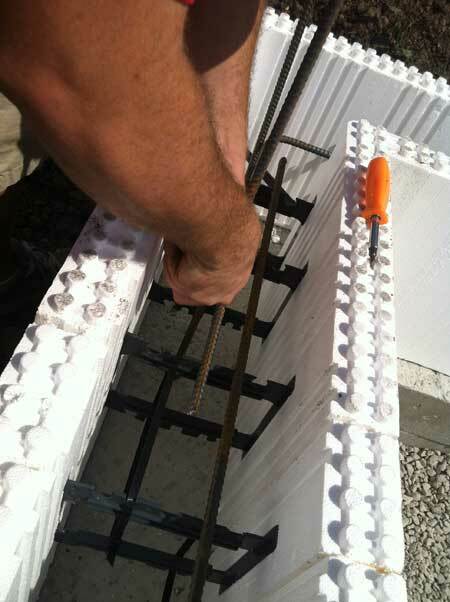 Insulated Concrete Form (ICF) home construction is a formwork for reinforced concrete. This is different than other forms of concrete construction, because it can be used for both exterior and interior walls and floors. In fact, it can even be used on roofs. Using interlocking modular units that are fitted together without mortar and filled with concrete, the units are assured of staying in place. Some construction specialists have likened this form of construction to building with Lego bricks, as the units fit together very tightly and are almost impossible to take apart or knock down. Once they are in place they serve as the basic form for the structure of the walls, floors, and/or roofs that will be built around them. ICF construction is becoming more common for both commercial and residential buildings due to its high energy efficiency and resistance to destruction caused by natural disasters. It can meet and exceed any building code. ICF has actually been around for a while. It was first conceived and used in Europe after WWII, when damaged buildings needed to be repaired as inexpensively as possible, while increasing their durability. The technique was used sparingly, and sometimes with materials other than concrete (like wood and styrofoam) until the 1970’s. At that time, it was gradually introduced to the rest of the world. 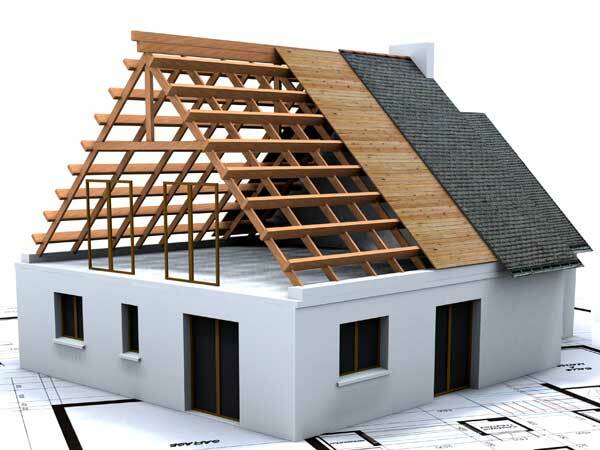 As its many benefits were noted by construction specialists, it became a building method of choice for many. Initially, there was no industry-wide standard design for ICF, so construction workers were somewhat hampered in their desire to use it. The confusion meant many people couldn’t decide if local building codes allowed for ICF or not. However, as the ICF industry developed, more uniform designs were made, and building codes around the world have been re-written to include the use of ICF when it is desired. Why Is ICF So Strong? ICF is virtually indestructible. Rebar is put in the individual units, or forms, before pouring concrete into them. This provides flexible strength to the concrete, much like that which is used in bridges and skyscrapers that must be unquestionably supportive of the whole structure and anything that goes in it. Construction uses typical concrete building techniques to reduce the risk of blowouts and to manage pressure in the forms. This makes them both strong and safe. Once the concrete has dried, the forms are left permanently in place to provide a solid, safe, and dependable structure for the building. The air inside ICF buildings is some of the cleanest indoor air in the world. This is because the ICF construction procedure produces a hypoallergenic structure. Since nearly no moisture or air goes through ICF structures, this means dust, mold, and pollen are kept out of the building. Hypoallergenic ventilation is added to ensure fresh air gets into the building in a safe way, and that exhaust is released on a regular basis. There is also no off-gassing from ICF forms, as they are made from all natural, recycled, or recyclable material. The way they are constructed alone reduces the consumption of energy in a building by up to 72 percent, making the building “green” as well as healthy. ICF buildings also provide a high degree of quietness to those inside. Outside noise simply doesn’t filter through into the building. This makes it the perfect building material for anyone who is constructing a sound studio or movie set. Movie theaters and libraries can also benefit from this type of construction. Natural thermal insulation in the forms means the temperature inside an ICF building is consistent throughout the year, and it is always the correct temperature. Drafts are eliminated, thus increasing energy efficiency. Homes stay cooler in the summer and warmer in the winter without having to increase or decrease the temperatures on the thermostat. This saves a lot of money on heating and cooling bills. If there is a severe storm or other bad weather (like a tornado or even an earthquake), you want to be in an ICF building. These are some of the safest buildings in the world when it comes to natural disasters. You can protect your home or building from destruction, and keep all objects, people and pets inside of it safe and secure even in some of the worst weather conditions by building with ICF. 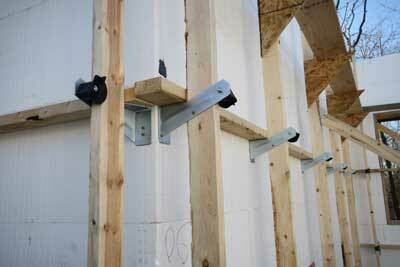 What to Consider Regarding ICF When Building a New House or Commercial Building. Anyone who is planning a residential or commercial building should seriously consider ICF when it comes to their building method. As we’ve seen, ICF buildings are healthier for those people inside of them, they are environmentally friendly, they provide comfortable and even temperatures, they reduce noise pollution from outside the building, and they are exceptionally strong. When considering cost, you must weigh the return on your investment with ICF. While it does cost more to build with ICF than with other methods, the cost of owning an ICF building is usually much lower than other types of buildings because of the natural energy efficiency of the building method. Most people get a full return on investment on their ICF building in energy savings within three to five years of building it. When you take all of the other beneficial factors of building with ICF into consideration, the decision to use ICF in your construction project becomes a simple one.